Pick up from your hotel/apartment at 7:30PM by our private English-speaking guide, transfer to Beijing West Railway Station and take an overnight soft sleeper train to Xian. Our guide and driver pick you up from Xian Railway Station. After breakfast, start to appreciate the ancient Xian by visiting the Terra-cotta Warriors and Horses, City Wall, and Big Wild Goose Pagoda. 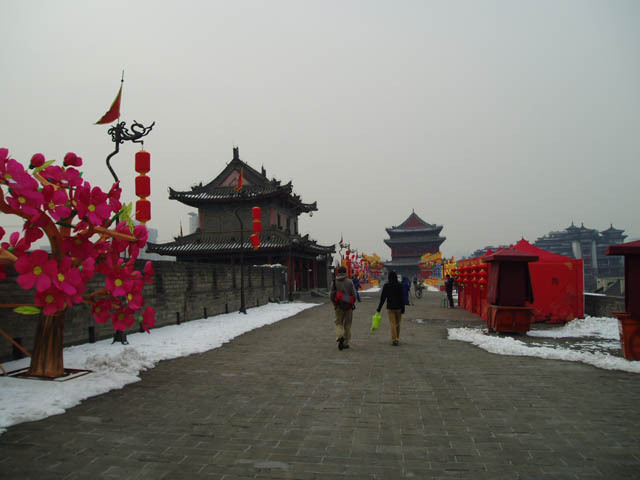 Transfer to Xian Railway Station and take an overnight soft sleeper back to Beijing. 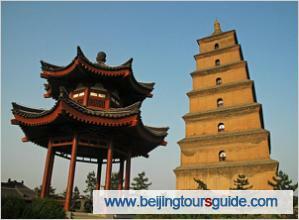 Big Wild Goose Pagoda: A well-preserved ancient building which is the holy place for Buddhists. Have a dumpling banquet as your dinner. Be met by our guide and driver at Beijing West Railway Station and be escorted to your hotel/apartment. * Soft sleeper train tickets: Beijing-Xian(Z19, 21:18-08:19), Xian-Beijing(Z20, 20:16-07:17). * Luggage transfers between railway and hotel. * Above price quotation is based on 4-bed-cabin, if you’d like to take the 2-bed-luxury cabin, please let us know, we will arrange for you. 4 adults, 2kids(15years old) interested in Beijing Xian Tour. Pls quote for departure 13/10/11 from Beijing. Please quote for 3-day Beijing Xian tour by train, leaving on 13 Sep 2011. For 3 people, two in 2-berth cabin, one in 4-berth.